Custom fields are very useful when you have an important data to add to your employees' profiles, in addition to the default fields provided by system. 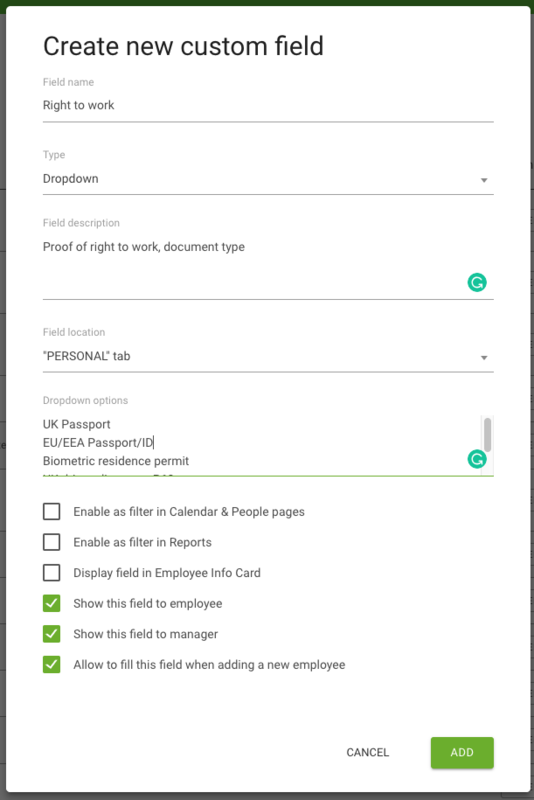 You can use these fields to create Custom reports, group employees by certain data, and add unlimited details that are useful when you work with Employee records. 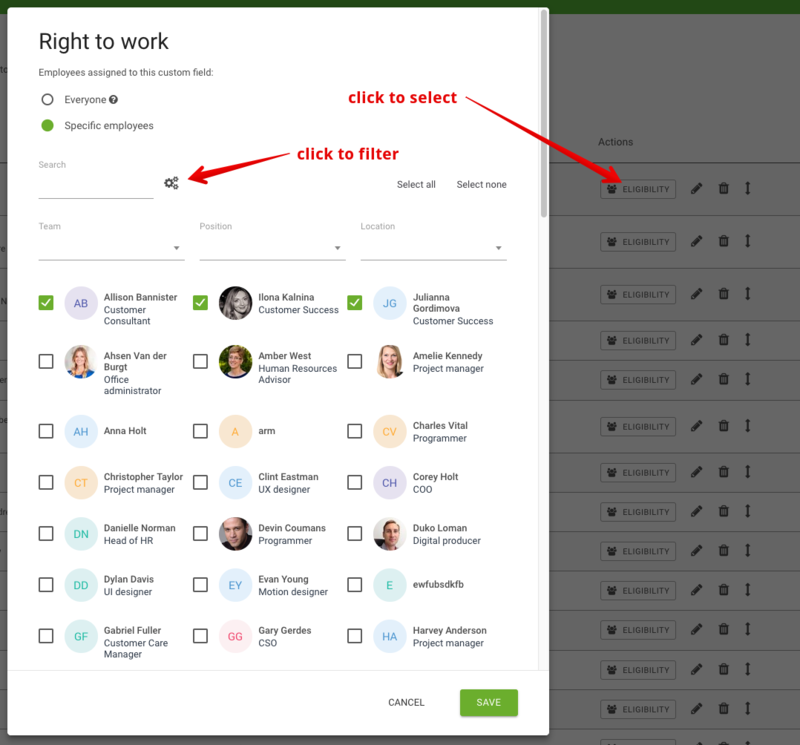 Once this is completed, click to "Add"
Now this filed will be available to complete in the same way as other default fields for selected employees.